29 May 2014 — Growing value-added manufacturing and building with timber is a logical move in terms of decarbonising our built environment. It’s an idea which is gaining popularity, with local examples like Forté, Netball Central and The Library at The Dock showing what can be done with engineered massive timbers, and the reconstruction effort in New Zealand spurring the development of a “grow to wow” industry. But why are there so few of these carbon-storing projects getting off the ground in Oz? And how can we develop a local manufacturing industry? Willow Aliento investigates. To distinguish them from traditional light timber framing and conventional timber products, the term “massive timber” is used in Australia and the rest of the world. The two main types of engineered wood products produced from softwood plantation timber such as Radiata Pine are laminated veneer lumber and glued and laminated veneer timber (Glulam). Both are used for structural timbers. A new product that has come onto the construction scene in recent years is cross laminated timber, a panel-style timber used for prefabricated structural elements including external and internal walls, ceilings and floors. Currently, this is sourced from Austria and is made from spruce, also a plantation-grown softwood. LVL being made at Nelson Pine Industries. Two fact finding tours to New Zealand in the last 12 months organised by the Timber Development Association (NSW) explored the massive timber manufacture and applications happening in New Zealand. The tours included Rod Bligh, a partner at Bligh Tanner consulting engineers, and Rod Pindar, a principal at architecture firm Fitzpatrick + Partners. “The Kiwis are punching above their weight in timber use,” TDA chief executive Andrew Dunn says. He tells The Fifth Estate that massive timbers were delivering a combination of sustainability and a damage avoidance system for earthquake resilience, and that the applications the group saw particularly impressed the engineering contingent. 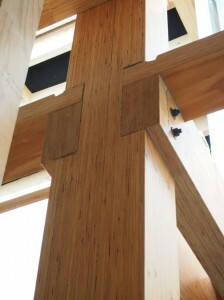 Rod Bligh explains the New Zealand projects are using pre-stressed LVL frames incorporating LVL columns and beams that have tension cables inside the built up timber sections. During the movement of an earthquake, the stabilising LVL shear walls mean the building returns to equilibrium due to the prestressing. This is a better solution than concrete, he explains, because concrete structures are difficult to remediate, as the steel reinforcing inside the concrete will yield during a quake, but unlike the LVL and CLT solutions, the steel in concrete cannot be removed and replaced. Rod Pindar echoes this, telling The Fifth Estate that the use of massive timbers for reconstruction is actually being driven by insurance companies and building tenants, not building codes or the construction industry itself. He found New Zealand a really interesting case study, explaining that after the Christchurch earthquake, many buildings had to be demolished as they were essentially “sacrificial”, and designed to keep occupants alive at the expense of the building’s structural integrity. Tenants and insurance companies, he says, no longer want to have buildings where complete demolition is needed post quake, and the massive timber buildings offer a clear advantage, as they can be remediated, therefore allowing for faster re-occupancy. “Despite these advantages, we understand it was still quite a challenge getting the [New Zealand] builders and contractors onboard,” Pindar says. Client buy-in is also something he believes is a sticking point. Pindar believes that for massive timbers to really succeed, they also need to be produced locally, with local raw material and local knowledge. “[Our timber industry] needs to research and be smart; it needs to be investing in new technologies,” he says. Architects Fitzpatrick + Partners has a research department that has done considerable work on both massive timber construction and also hybrid construction systems, such as a hybrid steel/concrete/timber system the firm has been developing for commercial applications. One of these hybrid systems is being proposed for an office building in Macquarie Park, NSW, and Pindar explains that the timber elements are a “cassette system” that is prefabricated in a factory and simply craned into position and bolted together on site. Currently, a research paper is also being undertaken in conjunction with the TDA on hybrid timber structures for commercial buildings. The firm also developed the detailed design for an entire multi-storey A-Grade commercial office project at Sussex Street in Sydney in conjunction with Arup and Lend Lease. Unfortunately, Lend Lease was not able to acquire the site and the proposal is now in hiatus, awaiting a place to be built. “The driver for [our research] is looking for smarter [and more sustainable] ways to build. Our experience has shown us that the quality of construction in Australia is getting worse, mostly due to the pressure on contractors to be quicker and cheaper,” Pindar says. “We know of contractors tendering at zero per cent margins, thus needing to save money on the sub-contracting of trades through “value engineering”. The trade-off is quality and the end result is that defect lists are growing. “We think buildings can be built smarter. Prefabrication offsite [with massive timbers] results in a quality building product that is fabricated using sophisticated machinery, operated by skilled workers. It is more sustainable, offers improved OH&S working conditions and has less risk due to poor weather. Then, because it is supplied [as modular items] and transported to site, the building is up faster and to a higher level of quality. Timber lends itself to that [prefabrication style of building] really well. The hybrid model Fitzpatrick+Partners is developing with the TDA is for an A-Grade commercial building with floor to ceiling heights competitive with traditional steel or concrete structures. One of the clear advantages he sees with the timber system is the flexibility it gives tenants in terms of adapting floor plates, and connecting different floors for more open, collaborative multi-level fitout styles. “The lightweight timber infills mean you can easily modify all the floorplates,” Pindar says. “[The need is for] long life, loose fit, low energy buildings which are more generic in typology and can change use, for example from commercial to residential. It’s about allowing buildings to be more flexible and have another life after the first one. Bligh shares Pindar’s perceptions of the upsides of the material, and the need for the Australian industry to develop. “CLT potentially has so much going for it. It suits prefabrication, it is lighter, which reduces the need for craneage, and it results in the delabouring of sites,” he says. Bligh also points out a lighter building means less resource intensive footings and piles, and can also allow for higher buildings on sites with poor geotechnical conditions such as the Docklands site Lend Lease had for Forté. It also results in a safer site, with less work required on the live edge of the building because formwork and concrete slab construction are eliminated, and facade erection simplified. Essentially, massive timber construction with CLT is, he says, extremely low tech. “Really, the innovation [in massive timber construction] is in working out the supply and the building methodology. From a structural [engineering] point of view, there are no huge challenges,” Bligh says. The only issue he identifies is the one of sound attenuation. However, a range of cassette system flooring solutions have been developed by industry that combine timber with either magnesium oxide boards or aerated lightweight concrete panels (Hebel) to create an acoustically insulated product. Service ducting is another issue that needs to be resolved through design. “The client has got to be involved [in the design]. It has to be the client and the consultants and the subcontractors all working together at the outset. You just can’t get innovations unless everyone is working together to achieve them,” Bligh says. “[Massive timber construction] is well and truly do-able. [Developing the industry] requires getting more people used to timber buildings. There are already systems relevant to residential buildings, but they have a long way to go in terms of acceptance in the [broader] market. What’s stopping Australia doing it too? The challenge now is for Australia to develop a similar level of market acceptance at each stage of the massive timber lifecycle, from plantation development and manufacturing through to builders and building owners. Dunn says the obstacles include lack of Australian manufacturing, with only one plant in Australia producing LVL, a small amount of glulam production for project-to-project orders, and no one producing CLT. In terms of acceptance by designers, builders and clients, another barrier is that LVL has predominantly been used as a beam product in both Australia and New Zealand, making it challenging for it to be more broadly endorsed by builders and their clients. Ironically, Dunn says one of the largest timber buildings in New Zealand was manufactured in Australia, and is a LVL factory covering several hectares. One of the features of the proposed Sussex Street building was the exposed timber with its natural grains and variations in the surface of the outer veneer layer. “The beauty of timber is it is a natural material. We think the structure should be exposed and celebrated, not overclad,” Pindar says. “Timber has a tactile feel to it, soft and warm to touch, that most typical commercial building materials [such as concrete and gyprock] don’t have. It creates a particular ambience that is calming and inviting. You really have to experience a timber building to fully appreciate the benefits. “It’s the same with a lot of typologies of materials; it’s nice to see them in their natural form rather than simply cover them up with gyprock. There are health aspects to this also, as you are reducing the amount of artificial elements in the building with potentially volatile chemicals in them. Even though you can get low-VOC products, it’s better if you don’t have to apply anything at all. “One of the obstacles in Australia has been a lack of imagination [in the building industry]. People like to do the same old stuff they have done before, and what was not done last time is seen as risky,” Dunn says. Another major barrier Dunn identifies is building regulations. One of the options available for builders under the current regulations is the one taken by Lend Lease of the alternative solutions path. Dunn pointed out that the majority of buildings over four stories in Australia will have elements in them that require an alternative solutions (for example, the “Deemed to Satisfy” solutions that may be used to meet the Building Code of Australia’s Section J requirements for energy efficiency). The difficulty he says in terms of using massive timbers as an alternate solution is it takes substantially more time to achieve approval and certification, and he believes this stifles adventurous methods. “Most people want to keep doing the same old things. Education is the key to change as the unknown is why people say no,” Dunn says. 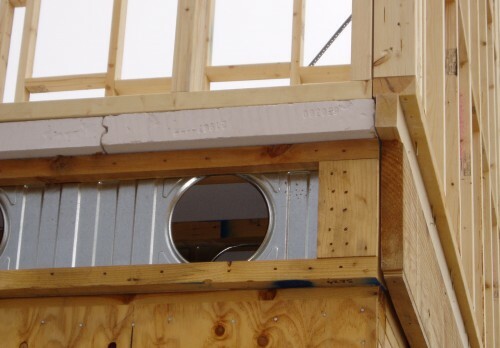 The biggest recent progress to date on achieving adjustments to the BCA is the decision by the Australian Building Code Board approving amendments enabling the use of fire and acoustic rated timber-framed construction systems for three-storey Class 3 buildings such as hotels and motels, a change which comes into effect this month [May 2014]. Is fire really the risk it’s made out to be? Fire is one of the common concerns regulators and others have in terms of timber buildings, especially in a country like Australia where destructive bushfires are a common occurrence. However, the BCA’s fire requirements were not developed in response to bushfire risk, rather they were based on sections of the USA’s building code developed in response to the Great Fire of San Francisco in 1906. Pindar observes that, untreated, steel performs poorly in a fire situation, yet it doesn’t have the stigma that massive timber has. “Steel warps and twists,” he says. “It needs a lot of protection in the form of coatings or cladding to keep its integrity and meet building codes, and those all have [embodied] energy in them. The “char factor” is the way in which only the outside of a timber beam will burn, creating a coating of charred wood which actually protects the inside of the beam, therefore maintaining structural strength. Professor Jose Torero, head of the school of civil engineering at the University of Queensland, explains to the The Fifth Estate that he has been doing work with a number of associations to demonstrate the viability of tall massive timber buildings in terms of meeting statutory requirements for fire safety. Professor Torero has put a proposal into the Australian Research Council to conduct a research project involving the construction of a massive timber building up to nine storeys high that will then be burned under test conditions at the Queensland Fire and Rescue Training facility. The research will also incorporate exemplars of different techniques that make timber buildings safe in terms of fire. “It is an interesting and complicated problem; we have a regulatory framework with quite severe regulations,” he says. He pointed out that the regulations regarding height limits for combustible materials vary around the world, and he believes these rules about height limits should not in fact exist. The basic premise of the height limits is the structure should withstand fire for a certain period of time that is sufficient for people inside the building to escape in event of a fire, he explains. “But, [this time period] relies on knowing how the structure behaves. The fire resistance method [in a furnace] is onerous and tests for things that do not matter. Timber is not a material that burns that easily [under normal conditions]. From a structural approach, you can make it work appropriately. You can design a product that behaves correctly,” Professor Torero says. One of the benefits of Professors Torero’s proposed research is that post-fire it will be possible to identify the failure points, and with timber being such a lightweight design, it is easy to replace the structural systems. Professor Torero believes that because the existing thinking about timber is entrenched, and there is a very strong steel and concrete lobby, few have seen any reason to change the regulations and material testing methodologies. “There are a lot of biases and misconceptions,” he says. In terms of changing the regulations, because they are still state-based, Dunn believes the mechanisms for change are difficult and time consuming. And, to complicate the situation further, in terms of massive timbers, a nationwide change would be required to create a sufficient level of demand to stimulate an Australian-based manufacturing industry. “It’s a situation of supply and demand,” Dunn says. Andrew Dunn has no doubt an Australian CLT plant will eventuate once the demand increases, just as the industry in the 1990s replaced imported timber I-beams with Australian grown and fabricated ones. “It is the way the world is heading – with CLT you can put [elements] together offsite and then just click it together onsite. Carpenters aren’t really needed, [workers] simply follow the plans and the numbers [on the components],” Dunn says. 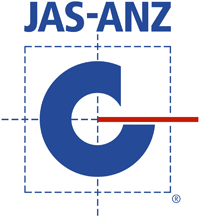 “For 100 years [builders] used the handsaw and hammer to build with timber in Australia, then for the last 30 years we had the power saw and nail gun, now we have the CNC machines and the accuracy with which the components can be made to fit together is phenomenal. With his engineering background, Rob De Brincat has a passion for innovation in materials, and as commercial development manager for Tilling Timber, a drive to work with architects, builders and engineers to increase the use of massive timbers. Tilling Group is the Australian importer and supplier for CLT produced by Austrian manufacturer KLH. The issue with supplying projects from import timber according to Dr Brincat is not only the loss of an opportunity for Australian manufactured products, importing reduces the benefits of the CLT in terms of minimising wastage through prefabrication. Ideally, he tells The Fifth Estate, CLT is pre-cut for each specific component – walls, floor, ceiling – in a way which maximises the use of each panel. However, the size of shipping containers limits the dimensions of panels which can be brought in, and timelines mean a project needs to pay for the whole panels, not for the amount which is used when the elements are cut from them. This approach also means increased amounts of offcuts. “The true art to design with CLT is minimising wastage, and using building smarts to design [the elements] to minimise waste,” he says. De Brincat says this can drive the price of the system quite low, once the cost of waste is taken out. “The market is looking for someone to step up and show [massive timber construction] can be done with the standard building process. There is no reason the structure of a [massive timber building] can’t be done the same way as a [concrete and steel] one. He says that one of the “sweet points” for CLT and LVL is the lightness of the material results in a lighter building. This, he says, has positive implications for developers on sites with poor ground conditions, as a lighter building can safely achieve more uplift and therefore deliver greater return. 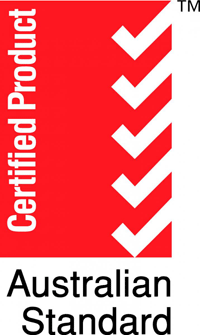 There are also benefits for extensions upwards or over existing building stock, with the use of massive timbers meaning there may be no need to greatly increase the structural strength of lower levels or pilings. “In the long term, in manufacturing [these timbers] there are opportunities, however we know certain levels of demand need to be achieved before manufacturing discussions can be held,” De Brincat says. “A lot of government authorities are looking at timber as an opportunity to grow the manufacturing sector [and replace lost jobs from sectors like automotive]. De Brincat observes that the construction industry is not only enormously economically influential world-wide, it also makes a major contribution to the global footprint in using materials like concrete and steel. 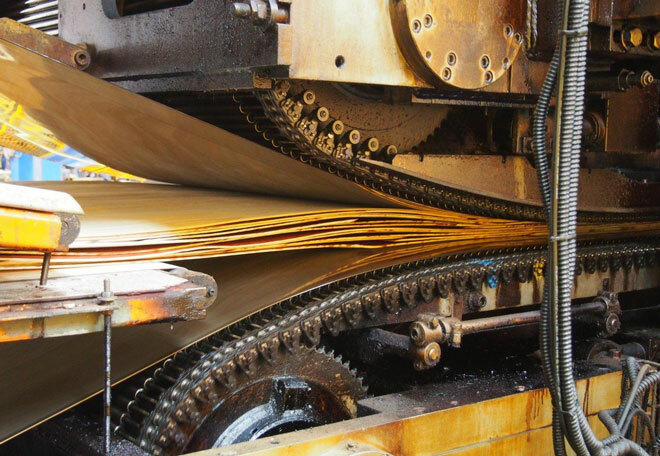 By contrast, manufacturer KLH uses a renewable, sustainably managed raw material, and powers not only the whole Australian manufacturing facility but also part of the town it’s located in, with the waste from timber processing. “The industry has a responsibility to start reducing carbon footprints,” he says. “And this includes looking at materials and operations. Ultimately, for the low-carbon massive timber alternative to become successful, De Brincat believes confidence in the products and the supply chain is needed. “That’s what we’re trying to achieve,” he says. “The perception of risk is not [really] about the products. If we can make the job [of using them] easier, that’s the hurdle.